I’m sure we’re not the only ones who are inspired to eat healthier because of the nice weather. Is there a correlation between our desire to create colourful recipes and the mercury rising? Clearly, in response to Mr. Sunshine, it is time to stock up on fresh produce…off to the grocery store! 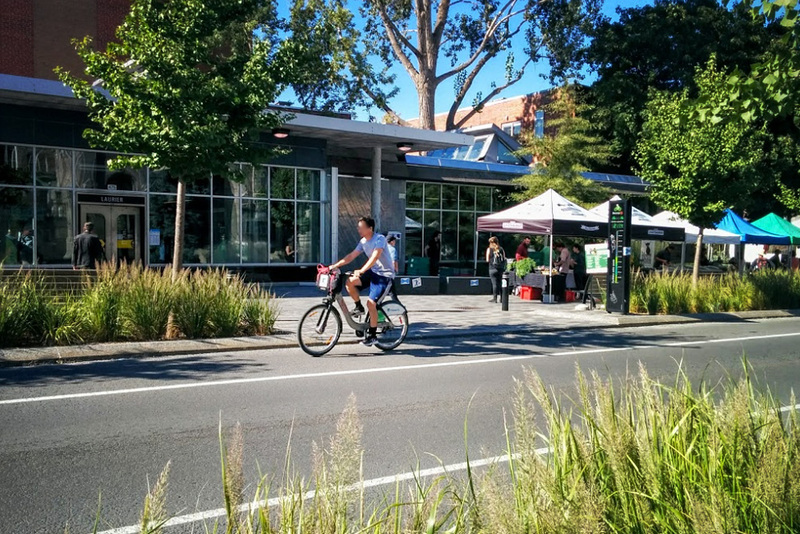 As everything turns to green, let’s make the most of it and walk to market! 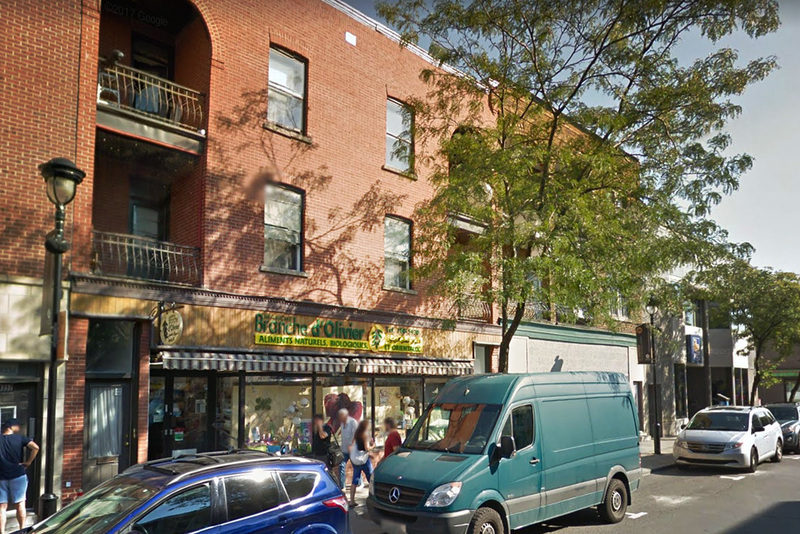 Here are five of Montréal’s healthy grocery stores located within a 25-minute walk radius from the MONDEV projects. As its name stipulates, Le Marché Fermier is everything you imagine a farmer’s market to be: local products and passionate producers. Check out their Facebook page to know which producers will be present on Thursday and Sunday afternoons (May to October). One is immediately charmed by the dedicated artisans and fine connoisseurs of healthy products; all this in a festive and musical setting. The worse that can happen, other than finding products that are prepared with love, is that you will uncover some startling items such as an unusual squash and homemade kombucha. Residents of Rosemont-La Petite-Patrie, here is a neighbourhood grocery store that will quickly become your favourite. 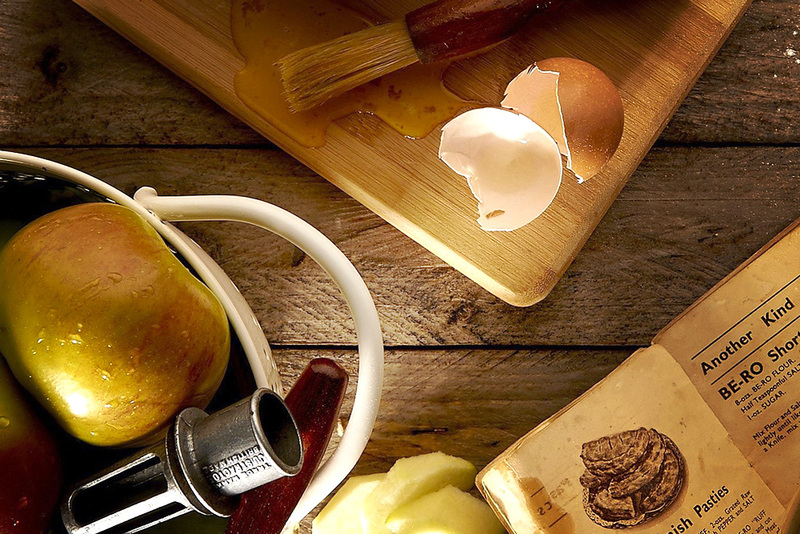 La Pomme d’Api offers countless choices of fresh, organic and local products. The wide variety of craft cider and beer is well worth the stop. 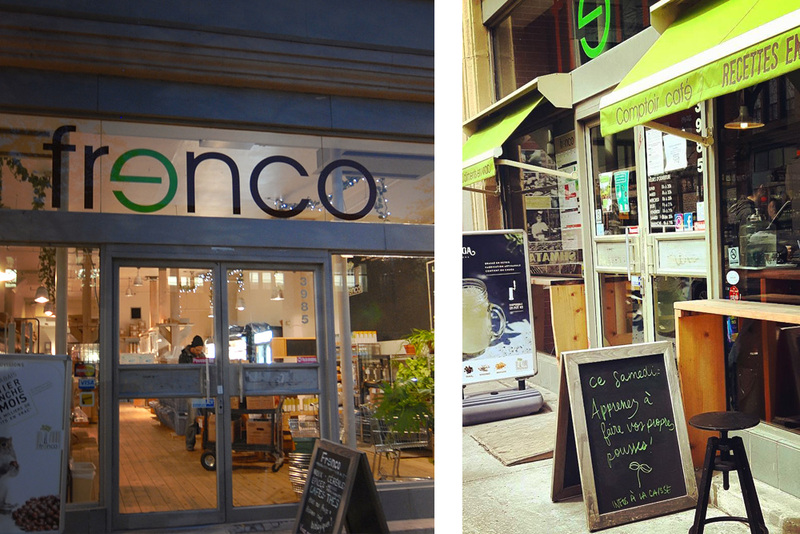 Among the pioneers of Montreal’s bulk grocery stores, the Frenco is a unique location that is far more than a place to run errands. On the one hand, the coffee counter means that you are never running errands empty handed (or empty stomached, for that matter!). And on the other hand, the ready-cooked vegan dishes are always available to expose you to new flavours fitting with the season and the inspiration of the moment. Also of interest, the store has a community feel thanks to workshops that are offered to anyone sharing the interests and values of the place. In fact, Le Frenco will take part in the MURAL festival, a fantastic opportunity to become a part of the community! 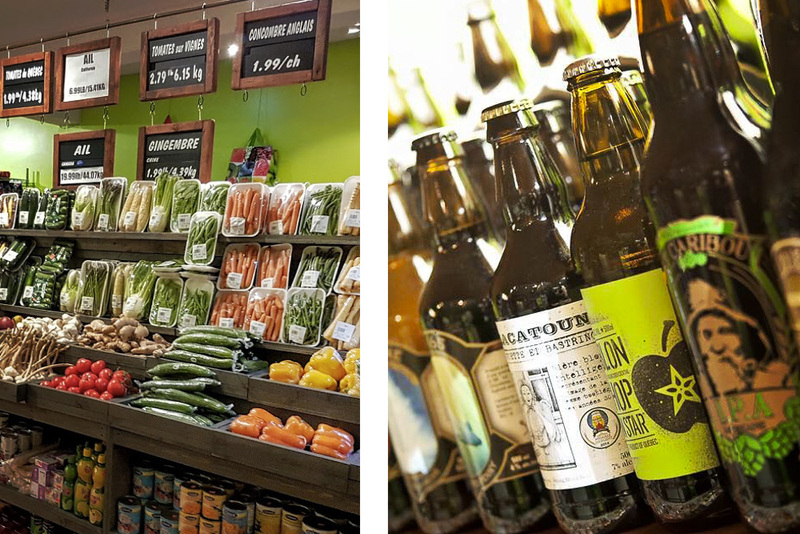 In Verdun, the reference for all that is oriental, natural, gluten-free or organic is the Marché Branche d’Olivier. This family-run store is welcoming to all, both the curious and the connoisseur. The regulars recognize the famous “wall of tea,” as it is referred to by clients, to describe the supply of hundreds of varieties of teas and tisanes. The aisles in the Aliments Merci [http://alimentsmerci.com/], a specialized grocery store, are stocked with a blend of bulk products and coffee, as well as organic and fair-trade discoveries. Stop by the Jean Talon Market and you will undoubtedly sample something that will convince you to try new flavours at home. And, for days where you just feel like perusing from the comforts of your living room, the store offers online ordering and home delivery. While you’re surfing their website, check out the recipes that will certainly inspire your “eat-healthy” crusade. If you’re among those who are developing a taste for online grocery shopping, the Lufa Farms suggests customizable weekly baskets. You essentially personalize your basket online and then go and get it each week at a pick-up point. Not only are there pick-up points across Montréal, but the baskets are made up of products grown on the city’s rooftops! A wonderful opportunity to try new products that you may not be in the habit of buying yourself. In essence, living within walking distance to a healthy grocery store is another step towards better eating habits.